The nine international organizations, on Wednesday, issued a letter aimed at European Union officials who are scheduled to meet with a Turkish delegation this week, urging them to take action to address the freedom of expression crisis in the country. “More than 160 journalists are imprisoned in Turkey today, with hundreds more on trial for exercising their right to freedom of expression. …The European Court of Human Rights (ECtHR) response to this situation has been weak until now,” the letter read before outlining their recommendations. 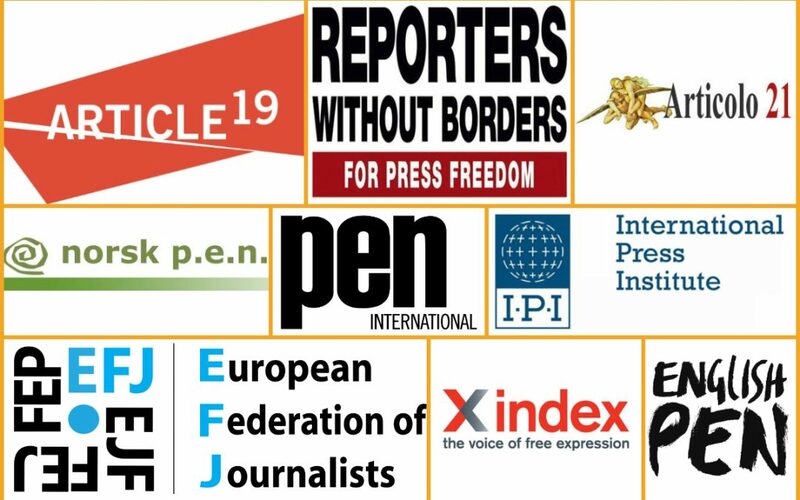 Following organizations signed the letter: ARTICLE 19, International Press Institute, European Federation of Journalists, Index on Censorship, Reporters Without Borders, PEN International, English PEN, Norwegian PEN, Articolo 21.